Ensure your food remains fresh and store it for longer with this integrated white AEG 70/30 frost-free fridge freezer. 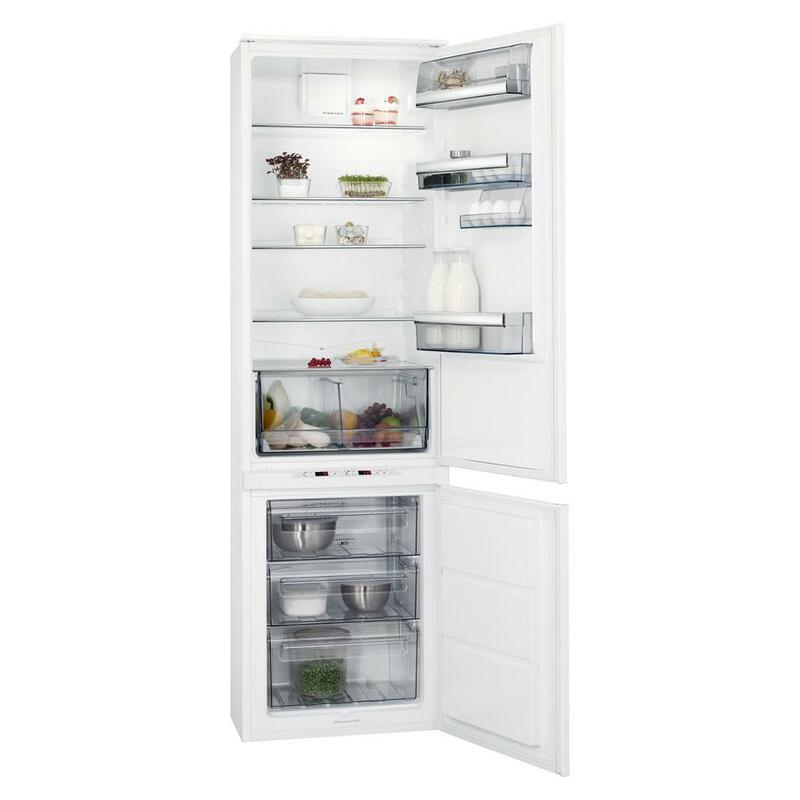 A great match for a large household, this integrated white AEG 70/30 fridge freezer gives you 283 litres of storage. Concealed behind a cabinet door, it keeps your kitchen looking clutter-free, while frost-free technology ensures you do not have to spend time defrosting it. The fridge also comes with a salad crisper for fresher, healthier meals.